Hope is happiest out of the spotlight, working backstage at her local theatre, so she can’t believe her luck when she lands a top internship on a major show. However, with a Hollywood star cast in the lead, and his young understudy upstaging Hope’s heart, she soon wishes life would stick to the script. Having cherished Maggie Harcourt’s Unconventional (you can find my review h e r e), I had high hopes for Theatrical and it did not disappoint. Maggie writes passionate characters, and (being a lover of passionate people), I often fall madly in love with their drive and determination. Hope, Maggie’s protagonist in Theatrical, is no different – the theatre is her home, and her resolve and intelligence spur her stage management talent; though often lacking belief in herself, she is a wizard ninja (which is a very sweet reference to the novel). These passionate characters are unapologetically nerdy, and it fills my heart with joy. Hope is a reminder that it is okay (and often encouraged) to immerse yourself in what you love. I hate the stigma (that is thankfully lessening) that the word ‘nerd’ inspires. Being passionate about something is cool, and it is at the heart of all of Maggie’s novels, and possibly my favourite trend in her work. Well, it is one of my favourite trends, because Maggie Harcourt writes THE DREAMIEST CHARACTERS EVER. Aidan Green (of Unconventional fame) and Luke Whitakay MELT MY HEART. Maggie writes exceptional leading men – talented, interesting, SO DAMN SWEET, handsome, and remarkably kind. 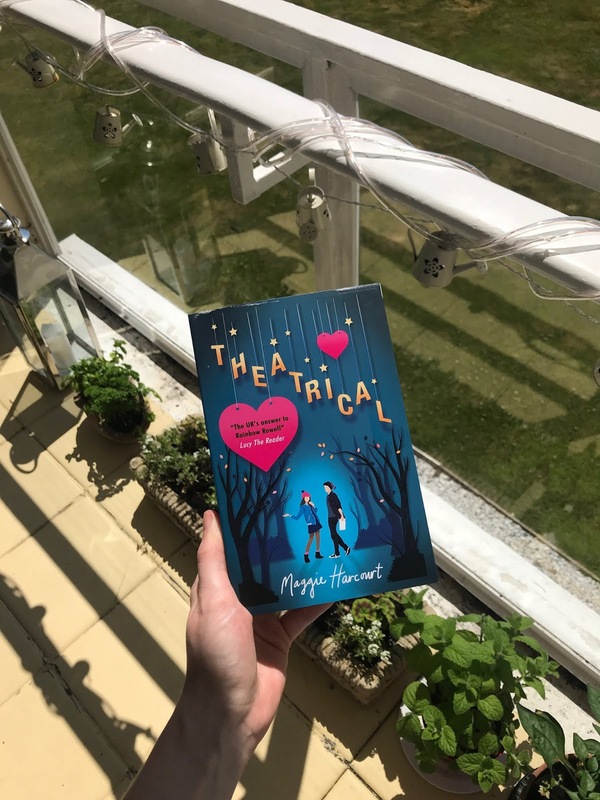 If you like YA romance, with people that will turn your pupils into permanent love hearts, then Unconventional and Theatrical are a must read. The ending KILLED ME (in a wonderful way). AIDAN AND LEXI ARRIVED. MY OTP IN ANOTHER HEARTWARMING NOVEL ABOUT PASSION. KILL ME. The inclusion of Piecekeepers, and small appearance of Aidan and Lexi at the opening night, made my heart so full. It wasn’t an overly dramatic inclusion, just a subtle nod to readers of Unconventional that makes for a wonderful treat. It was a spectacular way of weaving two great novels together. And the closing scene is beautiful – I am a sucker for a proud mother, and a romance ending happily, and Theatrical most certainly delivered. If you like YA romance, with a little bit of drama, A LOT of passion, and an incredible female lead, then Unconventional is the book for you. I’m always on the lookout for new books to read and this one sounds amazing! I’ll definitely have to go and check it out 🙂 Great review, lovely. This review is the best! The book sounds amazing, I will definitely check it out!